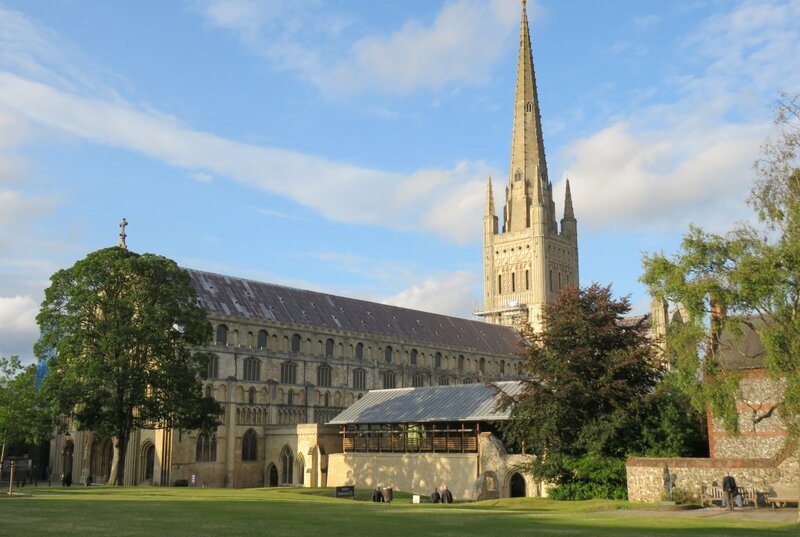 Concluding our tour of organs visited during last year's IAO Congress, we arrive at Norwich Cathedral. 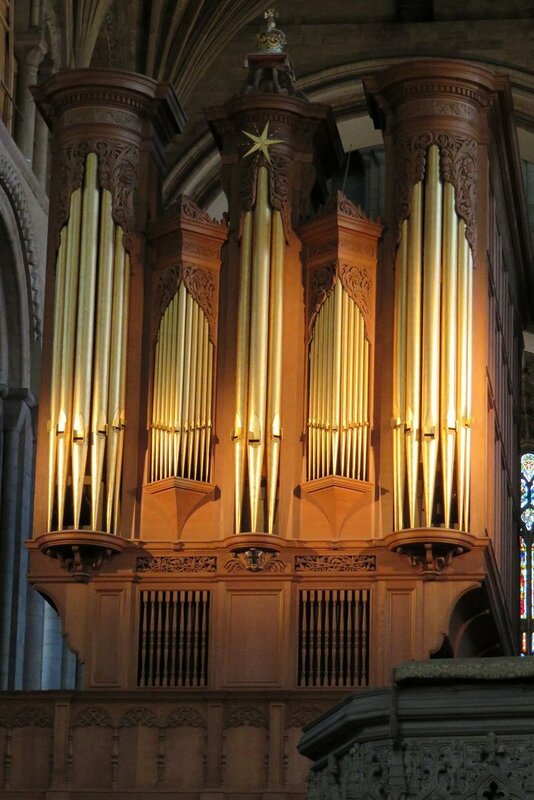 The first known references to a cathedral organ are as early as the 14th century, since when numerous famous organ builders (including Thomas Dallam, Renatus Harris, John Byfield and J C Bishop) have been associated with instruments built here. In 1899 a new five-manual organ, which included an Echo division, was built by the Norwich-based firm of Norman and Beard. This instrument was badly damaged by fire during a dramatic evensong on 9 April 1938. The current instrument is largely based on the work completed in 1942 to restore the fire-damaged N&B organ. Tonal revisions, including the creation of a Positif division and a new secondary Great division, were completed in 1970. The primary Great division is in the North Triforium with the secondary division in the main case facing west. The Swell & Solo division are west-facing with the Positif division east-facing. During the 2015 Congress, the cathedral's Organist, David Dunnett, gave the recital here, which included works by Buxtehude, Litaize, Messaien, Reger, Statham and Whitlock. 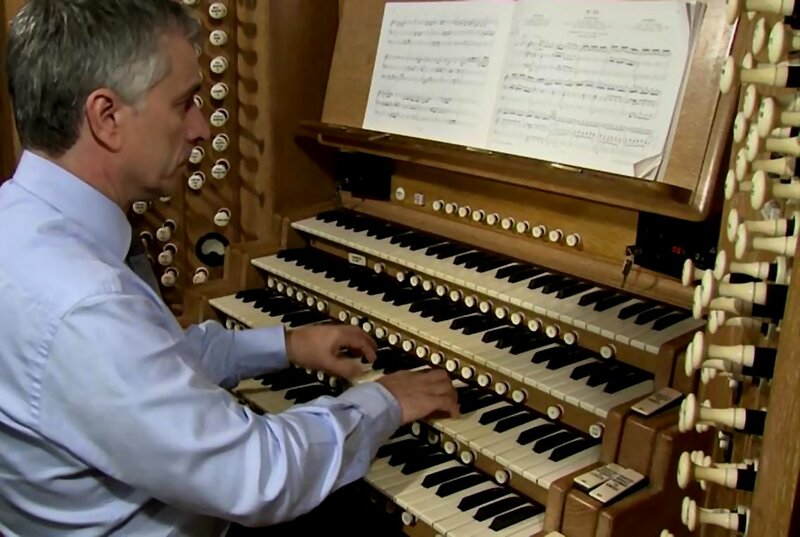 You can listen to David Dunnett playing the cathedral organ as July 16's Music of the Month.